Utterly adorable vintage Labrador Puppy Dog stuffed animal. 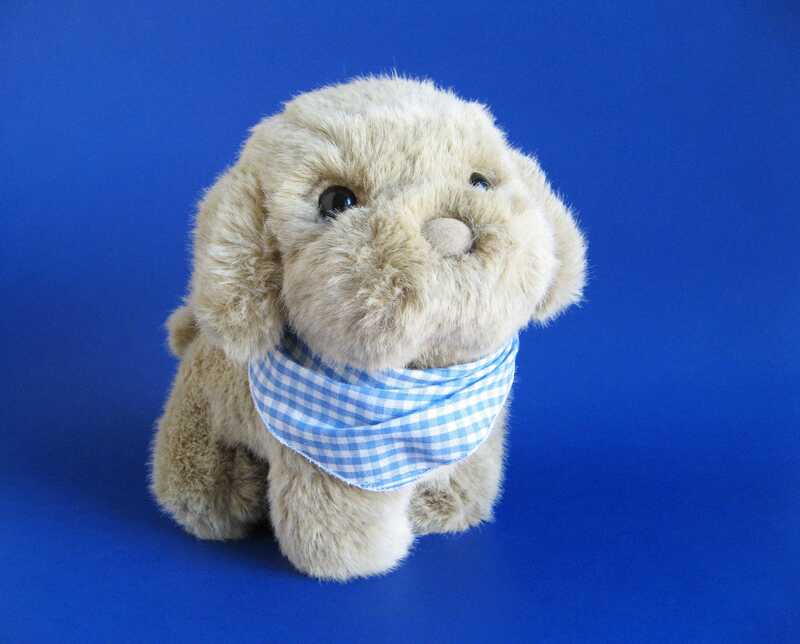 This sweetie pie is wearing a pretty blue and white gingham checked kerchief about his neck. In very good, gently played with condition. Dark, soulful eyes. Sweet velvet nose. Soft & cuddly! Made by R. Dakin most likely in 1985.